You are currently browsing the category archive for the ‘Anything Motorsports’ category. 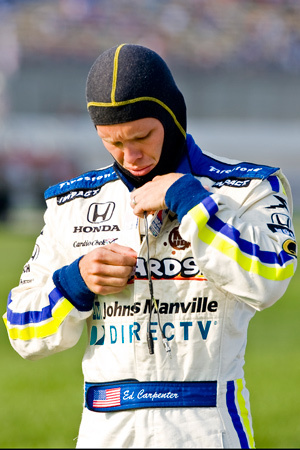 ALTON, Va. (October 5, 2008) – After six hours of competition on the challenging 3.27-mile Virginia International Raceway, the No. 59 ROUSH/Valvoline Mustang came up less than a quarter of a second from winning their first race in the last race of the KONI Challenge season. For this event, more than double the length of a normal KONI Challenge race, regular drivers Jack Roush, Jr. and Dean Martin teamed up with 19-year old Ryan Phinny to share the duties behind the wheel. It would be the first KONI Challenge race for Phinny, but not the first Grand-Am race as he had a standout season in the Rolex GT Series despite having limited starts this year. The team qualified in fourth position with Martin behind the wheel, a change in strategy from the other events this season which saw Roush as qualifier. At the green flag Martin quickly moved up to third and eventually took the lead on lap 28 as the pit sequences began. He paced the field until lap 33 when he dove into pit lane for fuel, four fresh tires and a driver change. Phinny was next behind the wheel and he came out in 17th position. Still getting a feel for the KONI Challenge Mustang, which is much different than any type of car he has driven before, Phinny methodically worked his way through the field by passing cars on the track and as the different pit strategies played out. He moved into fourth position by lap 52, and then one more spot by lap 59 where, amazingly, he was running his fastest lap times despite having well-worn tires at this point of the event. On lap 61 Phinny took the point and tallied up his first laps led in KONI Challenge competition in his very first race in the series. He pulled into the pits on lap 64 and turned the wheel over to Roush who, with a fresh set of tires and a full tank of gas, came back into the fight in 11th place. Roush began his march to the front by running consistent lap times and making calculated passes. A full course yellow flew and Roush dove in for a pit stop on lap 86 when he was running in second place. The Rehagen Racing team elected to take four tires and fuel, but left Roush in the car for a second stint. Unfortunately, there was a problem with the lug nuts on the right rear and Roush came out in 13th, the last car still on the lead lap. Cool behind the wheel, Roush took to the challenge and began retaking the lost spots and eventually took the lead on lap 102. He led for three laps, and then gave up the top position to Rehagen Racing teammate Matt Plumb who was on a different pit sequence and had fresher rubber on his No. 60 Sunset Hills Vineyard Mustang. Another full course yellow flew on lap 123 and one lap later Roush pitted and turned the car back over to Martin during a frantic pit road session that saw all the leaders pitting together in the same section with cars in front and behind the No. 59 ROUSH/Valvoline Mustang. Martin came out ninth with just over an hour left in the marathon. He had the Mustang flying, was posting the fastest lap times of any car on the track at that point, and quickly sliced his way through the field. He retook the lead on lap 138 with only 40 minutes left in the race, and had his teammate Hugh Plumb in the No. 60 Mustang on his bumper running second. Martin was running quickly and led for six circuits when the duo came into Turn 2. Unfortunately, Plumb’s brakes were getting very worn by then and he was unable to slow his car down quickly enough and hit Martin’s rear bumper which pushed him out of the groove. This put Plumb in the lead, and fortunately, Martin was able to recover quickly and lost just the one position. The two ran nose-to-tail until the No. 83 Porsche dumped oil through the downhill section of the course and the yellow flag flew again with less than 10 minutes remaining. After the clean-up was completed (though many drivers complained the racetrack was still unsuited for racing) the Grand-Am officials threw the green flag for a two-lap dash to the finish. When the checkered flag flew, Plumb was able to hold off Martin by 0.208-seconds making this the second-closest finish in KONI Challenge history. Though they just missed the victory, it was the season-best finish for the No. 59 ROUSH/Valvoline Mustang and remarkably all three of the drivers led the event; Martin headed the field for 11 laps, Phinny for four, and Roush paced the field for three circuits. No other team in the event had all their drivers lead the race. As Martin climbed from the car he was both disappointed to finish as the runner-up, but happy to have the Regahen Racing cars take the top two positions. Pleased with his KONI Challenge career-best finish, Roush said, “This is a nice way to finish, with our best finish of the season. The car felt very strong out there. At one point, it felt like I was taking positions at will. It got a little harder at the end, when the tires went away, but the No. 59 Roush/Valvoline Mustang was awesome all day.” The team has run off six consecutive finishes of seventh or better to finish off the 2008 season. Phinny did an outstanding job as the third driver, especially considering how different the KONI Challenge Ford Mustang handles as compared to other cars he has raced. He quickly got up to speed and was able to log lap times comparable with the leaders during his time behind the wheel. Left to Right,Dean Martin, Ryan Phinney, and Jack Roush Jr. Overall, it was a tremendous day for the Rehagen Racing team with all three cars finishing on the lead lap and in the Top-10. The No. 60 Sunset Hills Vineyard Mustang won the race with Hugh Plumb, Mike Canney and Matt Plumb behind the wheel. The No. 52 Columbus Truck & Equipment Mustang, driven by Adam Pecorari, Ray Mason and Gene Martindale, finished in sixth. Overall, Ford Mustangs took five of the top-10 places in the event. The No. 59 Ford Mustang, based out of the Rehagen Racing shop in Livonia, Mich., carries sponsorship from ROUSH Performance and Valvoline. 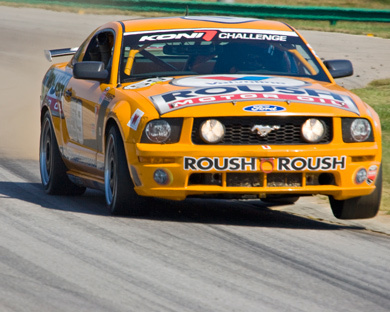 In 2006, this was the highest-finishing Mustang in the series. Second-Closest Finish in Grand-Am Koni History! 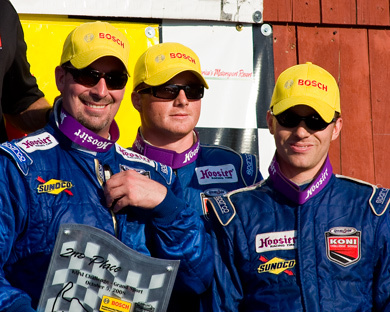 Danville, Va. (October 5, 2008 ) – The second-closest finish in Grand-Am KONI Challenge series history occurred Sunday at VIRginia International Raceway. The Bosch Engineering Twin Six-Hour race for Grand-Am KONI Challenge cars went down to the wire, with Mike Canney, Hugh Plumb and Matt Plumb beating out the sister Rehagen Racing Mustang by only 0.208 second at the checkered flag, six hours after the green flag flew over the season’s final race. Third went to the TRG Porsche driven by Andy Lally, Peter Ludwig and Scott Schroeder. “This is my first win in this series, so it’s really exciting, especially to do it like we did today,” commented Canney after the race. 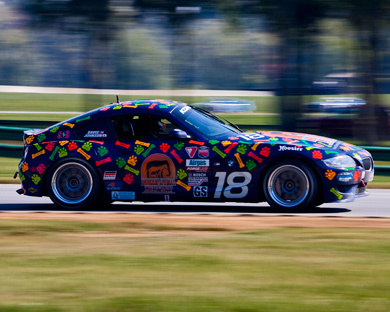 “Our crew chief Quinn Conda had a great setup… and the car handled really well during my stint. I’m happy to get a one-two finish for Rehagen Racing,” he added. The day’s action was punctuated by a spectacular crash involving the No. 18 Morris Animal Foundation BMW Z4 when Andrew Davis suffered a brake failure at the end of the track’s 5000-foot back straightaway, resulting in the car flipping and rolling before landing wheels down. Davis scampered from the wreckage unhurt. The race wound down to a green-white-checker after a final caution for debris at the “Oak Tree” Turn Eleven, when the BGB Motorsports Porsche blew its engine and scattered debris on the track. When the final points were tallied, Scott Maxwell and Joe Foster earned the season championship over Bret Seafuse and James Gue by only six points. The points championship for drivers came down to the final race of the season, as the top seven drivers were within 19 points of each other. 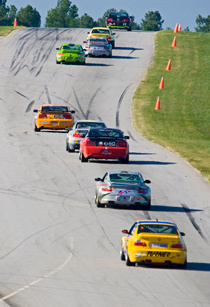 VIR’s next spectator event is a 13-hour enduro for Sports Car Club of America drivers in Showroom Stock, Improved Touring, Production and Touring cars, running from 9:00 AM until the checkered flag at 10:00 that night. DAYTONA BEACH, Fla. (Sept. 4, 2008) – NASCAR Holdings today announced an agreement to acquire the Grand-Am Road Racing (Grand-Am). The future move will allow for resource sharing between Grand-Am and NASCAR while both organizations continue to operate independently. NASCAR Holdings is the legal operating entity that includes the National Association for Stock Car Auto Racing (NASCAR) and many of its subsidiaries. 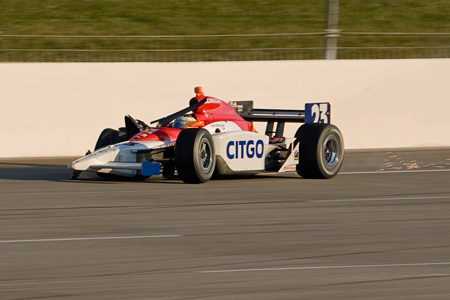 Grand-Am, one of the world’s most competitive road racing organizations, and NASCAR, the No. 1 spectator sport in the U.S., will combine marketing and communications efforts to include brand management, research, marketing and public relations. Grand-Am consists of six racing series, including the Grand-Am Rolex Sports Car Series and the Grand-Am KONI Challenge Series, which has millions of loyal fans. “This combination of resources will benefit Grand-Am and NASCAR, their competitors and fans, as the two companies work together to enhance the two sports,” said Jim France, NASCAR Vice Chairman and Grand-Am founder. The two racing brands will continue to independently sanction and officiate race events for their own series and there will be no change in management. Roger Edmondson will continue to serve as president of Grand-Am. 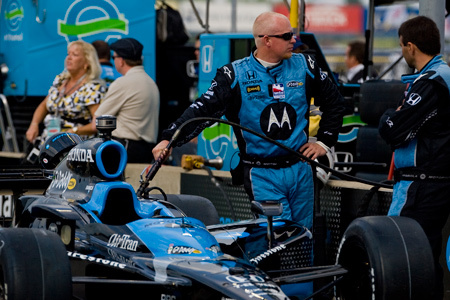 There has been a rise in crossover drivers and team owners between Grand-Am and NASCAR in recent years. 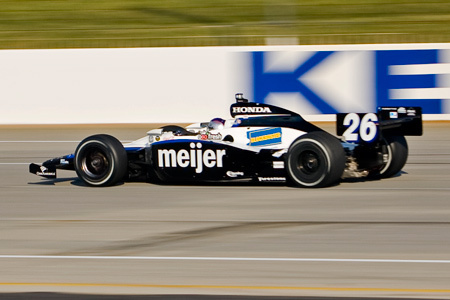 NASCAR drivers such as Jimmie Johnson, Tony Stewart, Kyle Petty, Bobby Labonte, Juan Pablo Montoya, Kurt Busch and Jeff Gordon have raced in the Grand-Am Rolex Series. Full time driver and 2008 Grand-Am Daytona Prototype team champion Scott Pruett has driven in many NASCAR events. 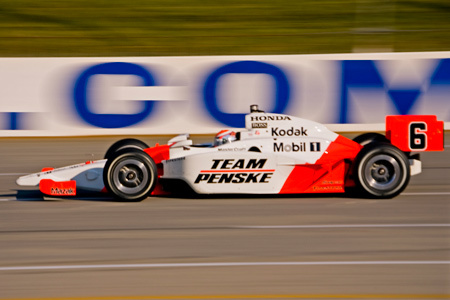 Chip Ganassi and Richard Childress own teams in both sports. 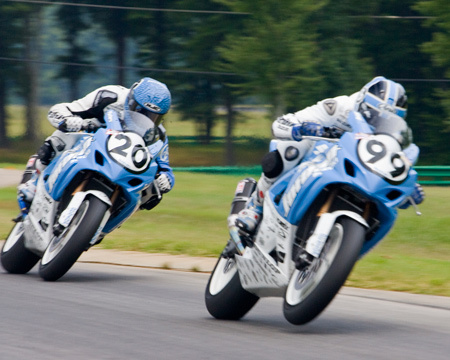 The Grand-American Road Racing Association was established in 1999 and is based in Daytona Beach, Fla. 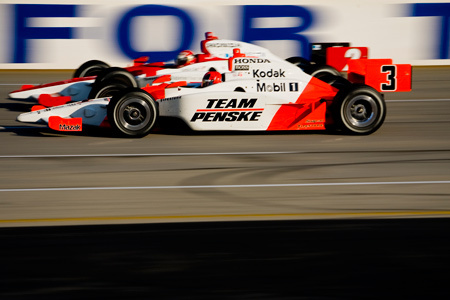 The 2008 schedule includes 15 Grand-Am Rolex Sports Car Series events and 11 Grand-Am KONI Challenge events. Other Grand-Am racing series include Ferrari Challenge; Ford Racing Mustang Challenge; Skip Barber Racing Series; and the SunTrust MOTO-ST Series. 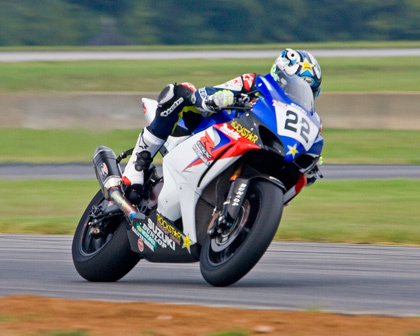 DANVILLE, VA (August 18, 2008 ) Story by John Davison – Mat Mladin added another notch in his near-perfect record at VIRginia International Raceway with his eighth consecutive victory at VIRginia International Raceway’s Suzuki Big Kahuna Nationals presented by Dunlop, RockStar and Makita AMA Superbike races. 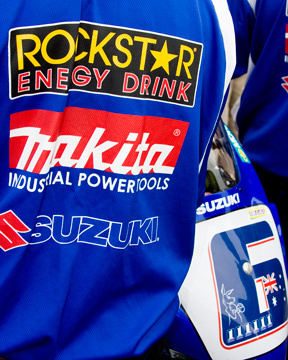 However, the win will not be official until AMA headquarters in Pickerington, Ohio completes an inspection of the crankshaft out of Mladin’s Rockstar Makita Suzuki GSX-R1000. Results of the inspection will be released as soon as possible by the AMA. The parts from Mladin’s bike will be compared with the same parts from production bikes. If the win stands, it will move Mladin to within only 18 points of his teammate Ben Spies, current points leader, but a healthy 121 points ahead of Denver, NC’s Jamie Hacking. 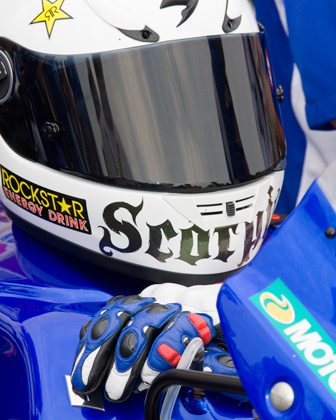 Sunday’s win is Mladin’s sixth in a row for the 2008 Superbike season, and carries his momentum in to the next race, where he is touted to tie Ben Spies’ record of seven consecutive victories. Mladin commented on the possibility of repeating his win at Road Atlanta and posting a new consecutive win streak record: “Obviously that would be great,” the Australian said. “Right now winning races is my priority and my goal in my racing career, to stack up as many as I can. If we go eight in a row, obviously that would be fantastic. 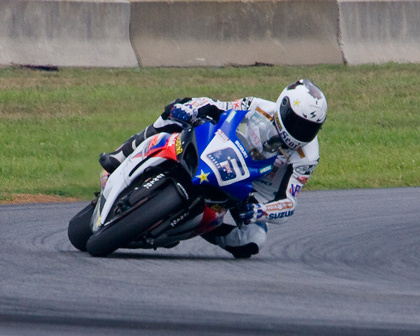 Following Mladin and Spies home was their teammate Tommy Hayden, making a clean sweep of the top three positions in both races for their team of Suzukis. 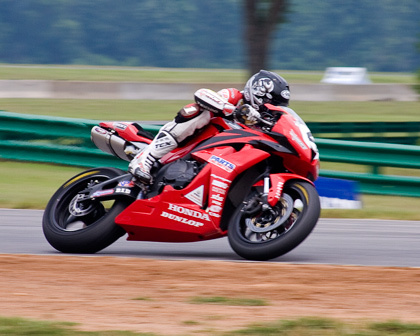 Fourth went to Eric Bostrom, mounted on a Yamaha YZF-R1, followed in fifth by Miguel DuHamel on his Honda CBR1000RR. The Supersport race went to Josh Hayes, mounted on his Erion Honda, ahead of the pair of Yamahas ridden by Ben Bostrom and Josh Herrin, with Blake Young and Jake Zemke finishing the top five. 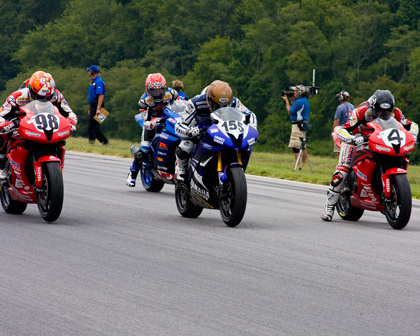 VIRginia International Raceway is a multi-purpose road racing facility, located on the Dan River between Danville and South Boston, Virginia. 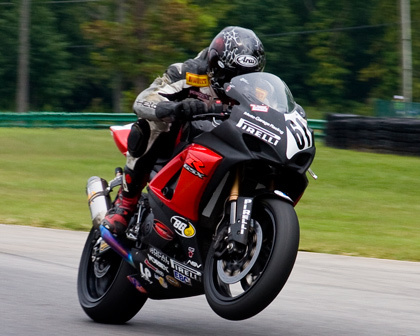 Reopened in 2000, VIR hosts a wide range professional and amateur auto and motorcycle racing and track events, and is well established as “America’s Motorsport Resort.” In addition to its historic 3.27 mile natural-terrain road racing circuit, VIR is the cornerstone of VIR Club, America’s first motorsports country club; the VIR Raceplex Industrial Park and Motorsports Technology Park, which includes the Virginia Institute for Performance Engineering and Research (“VIPER”); the Plantation Valley Kart Track, a 5/8 mile paved natural terrain karting circuit; an expanding variety of on-site lodging (including 45 hotel rooms and the trackside Villas which are for sale); Camp Motorsport for enthusiasts of all ages; and the Oak Tree Tavern, a full-service restaurant located within the circa-1840 Plantation Clubhouse. 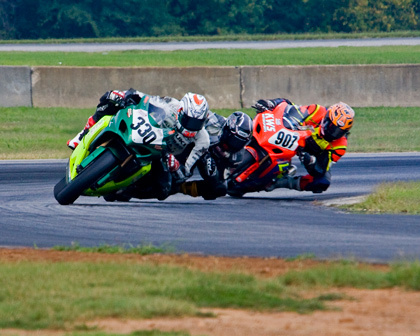 The next big event at VIR occurs on the weekend of October 3-5, when GT Live and the KONI Challenge bring a thrilling combination of motorcycle stunts, drifting, ‘track attack’ events and endurance sports car races. 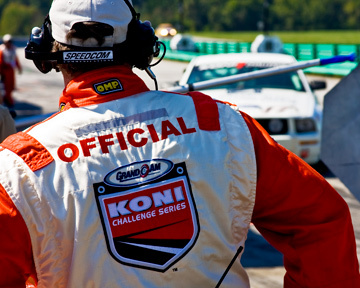 The KONI Challenge sports cars run their six-hour season finale endurance races on Saturday and Sunday. 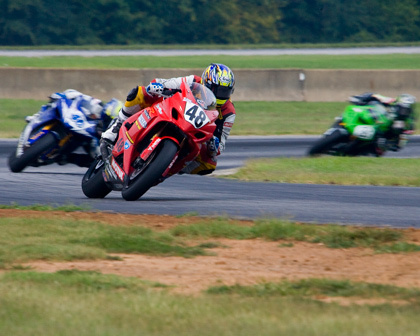 There is no real break in the action however, as September has back-to-back weekends of action with the Championship Cup Series motorcycle races on the 20th and 21st, while the next weekend VIR welcomes the vintage sports car of Sportscar Vintage Racing Association, joined by a reunion of the IMSA Radial Sedan series. The weekend of November 1 closes out VIR’s spectator season with the Sports Car Club of America’s ‘Charge of the Headlight Brigade,’ a 13-hour enduro. 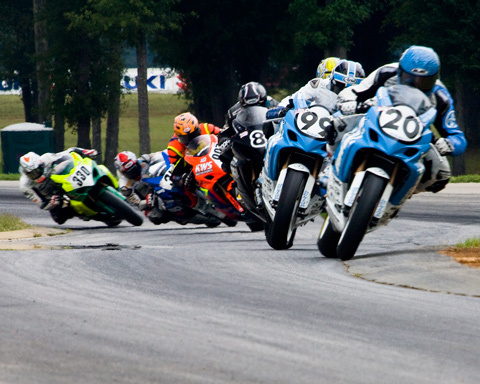 These events are all combined with a wide variety of motorcycle and sports car amateur and vintage road racing and schools throughout the year. Story by Jeff Kluss: (Sunday August 10, 2008 ) The Meijer 300 IRL spectacle at Kentucky Speedway was another great show on the schedule. 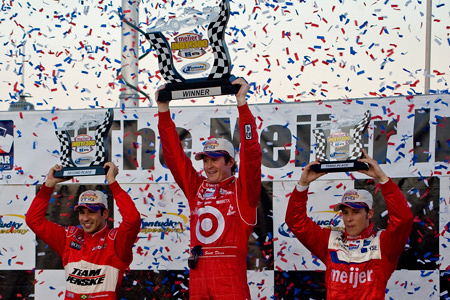 Scott Dixon passed Helio Castroneves on the final turn to bring home another win. 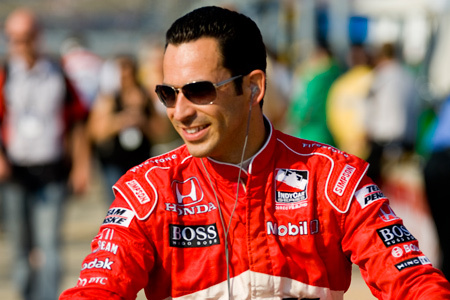 Helio posted his 7th second place finish of the Season and still no wins. Marco Andretti turned in a 3rd place finish for Andretti-Green Racing after starting 9th in the lineup. In spite of a wreck in practice on Friday, Danica Patrick still managed to post an 11th place finish. As usual, if you missed this one you missed out on a great event and a special facility. The IRL knows how to put on a gem of a show, and in partnership with Kentucky Speedway had the crowd screaming for joy. Even though the event was a sell-out and sold another 2,000 standing room only tickets, there was only about 40 thousand fans in attendance. The only real explanation for the 73 thousand seat facility having lighter attendance than the number of tickets sold would be the corporate participation and purchase of tickets. But considering the gate, it was still a great show for all that attended. With only 7 laps remaining in the race, Dixon had to make a pit stop for a splash of fuel which kept all on the edge of their seats. This unplanned stop put Dixon behind Helio Castroneves #3 car by six seconds. 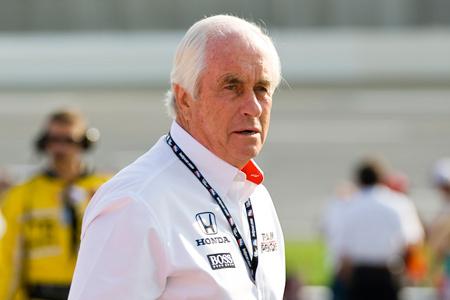 In a gamble by the Penske Team, they had decided not to fuel after their last stop 57 laps from the finish. 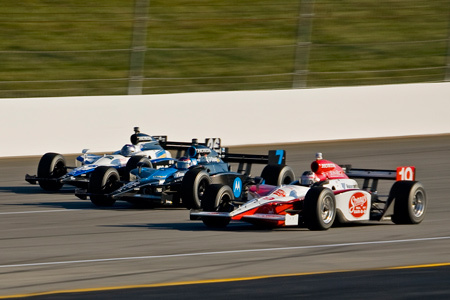 Then in the final lap on turn 3, Helio’s car lost fuel pressure, and Dixon took the advantage. Ed Carpenter left on Pit Road getting ready. Milka Duno had the only serious incident of the night, emerging unhurt after a mechanical failure on the No. 23 sent it into the wall. It appeared that on turn 2 that a blown right side tire was what put the car into the wall and finishing up on the back-stretch infield. “I was just turning and the car went straight into the wall,” Duno said. 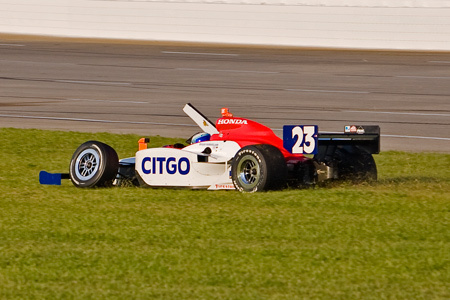 Duno immediately after hitting the wall in turn 2, then in the infield, and then being assisted. 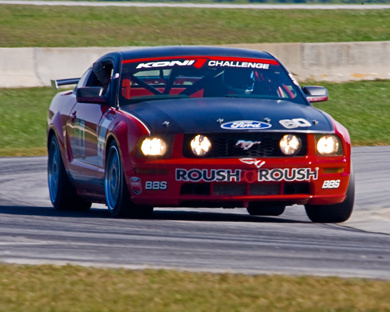 The all-new Mustang FR500S is the cornerstone vehicle of the Ford Racing Mustang Challenge for the Miller Cup racing series, which debuts on race tracks across North America in 2008. The FR500S joins other Mustang race cars that are available for sale through the Ford Racing Performance Parts catalog. For the first time in its history, Ford Motor Company has built race cars at a vehicle production facility intended for sale to racers through Ford Racing dealers. LAS VEGAS, Oct. 30, 2007 – Building on the rich and successful racing history of Ford’s iconic pony car, Ford Racing Performance Group is giving customers an affordable way to go racing with the introduction of the all-new 2008 Mustang FR500S. The FR500S will be the heart of a new Mustang spec series, the Ford Racing Mustang Challenge for the Miller Cup, which will make its debut on race tracks across North America in 2008. The limited-edition FR500S is the first race car in Ford Motor Company’s history to be built at a production facility and then made available for racers to purchase through the Ford Racing Performance Parts catalog and at authorized Ford Racing dealers. The 325-hp Ford Mustang FR500S was co-developed by Ford Racing and Miller Motorsports Park (MMP) in Tooele, Utah, and is based on the Mustang GT used by the track’s high-performance driving school. Powered by a 4.6-liter 3-valve, fuel-injected V8 production engine and featuring a Ford Racing cold-air intake, the FR500S includes a 6-speed transmission with an upgraded clutch and Ford Racing short-throw shifter. The FR500S features the same braking utilized on the FR500C along with unique two-way adjustable front dampers with coil springs and an adjustable anti-roll bar in both the front and rear suspension. With the addition of the Mustang FR500S to its current stable of Mustang race cars, Ford Racing now provides customers a racing ladder – all within one manufacturer – to climb up through the ranks of professional racing. The Ford Racing ladder begins with the Ford Racing High Performance Driving School at Miller Motorsports Park featuring specially prepared school Mustangs. The next step on the ladder is the Mustang FR500S, which is delivered as a race-ready vehicle complete with a racing seat and safety harnesses, and provides competitors with a base to hone their driving skills and an exciting year-long schedule to race against other semi-pro drivers. Moving further up the ladder puts racers behind the wheel of the Mustang FR500C, which competes in the Grand-Am KONI Challenge Series, and the FR500GT4, which competes in the GT4 European Cup Championship. Both Mustangs are proven winners with each car having won championships in its first year of competition. At the top of the ladder sit both the Mustang FR500GT and FR500GT3, which represent the ultimate race-bred Mustang. The FR500GT is being homologated for Grand-Am Rolex GT and other applications, while the FR500GT3 has already competed in select FIA GT3 European Championship races and will be campaigned full-time in 2008. Customers or competitors looking for more information on how to get behind the wheel of their own Mustang FR500S and to be a part of the new Ford Racing Mustang Challenge for the Miller Cup should contact Miller Motorsports Park at (435) 277-8790, www.millercup.com, or visit www.fordracingparts.com/FR500. What happens when you mix Gene Simmons, Ashley Judd, and fast cars at Kentucky Motor Speedway? What do you get when you mix Gene Simmons, Ashley Judd, and a bunch of IndyCar Series participants? You have a great time. A fine facility mixed with celebrities and great racing make for a fantastic Saturday evening for all. 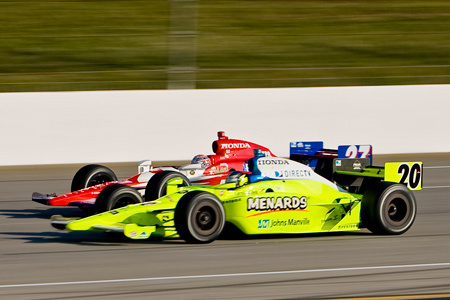 A race that had only 4 cautions, but still had plenty of action and even a few thrills and spills but ultimately was won by Tony Kanaan in the 7 Eleven car #11. Tony Kanaan on a Vespa in the pits. Ahsley Judd otherwise known as Mrs. Franchitti in the pits. Of course Dario Franchitti supplied the biggest surprise of all when he went airborne after the race had actually finished in his Canadian Club car. Poor communications, inattention….whatever you call it this was a costly error for the Andretti owned team. We are sure Ashley wasn’t too pleased with the last minute flying performance by her husband. Gene Simmons talking it up with the media in the pits. Gene is a true racing hound that is classy and makes time for all fans including we in the media. Of course on Friday they had the autograph signings by all the drivers in the garage area for the fans. And as you might guess, judging by the length of the lines Danica Patrick had everyone beat hands-down. Her line of fans was at a minimum 3 times that of anyone else. Amazing how she has attracted such a fan base with no wins but a lot of promise. Danica Patrick and team owner Michael Andretti in the pits. Danica composition showing her in the car prior to the race and on the track in her Motorola Car #7. Danica was up to fourth on several occasions but late in the race had a problem with recognizing the caution and wrecked avoiding a pace car. She has some great ability, but for some reason can’t quite put it all together to get into the win column. Amazing though how this young lady is actually a major contributor to the coffers of Indycar Series via her fan base. 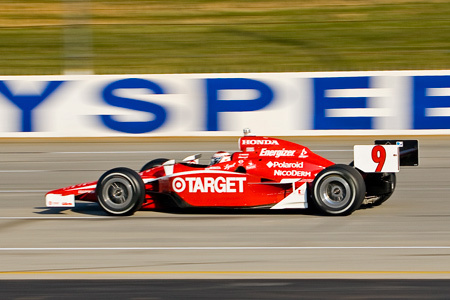 Tony Kanaan dedicated this win to his late father. “A special weekend for me,” said Kanaan, who recorded a series-leading fourth victory of the season. “He’s not around any more, so it is pretty touching. I’m glad that I got a win for him. (Aug. 12) is Father’s Day in Brazil. I’m a father-to-be, so my wife better give me a good gift.” Tony, congratulations from everyone at Sports Image Times and a big thank you for an exciting race. Once again, we highly advise any of our readers to attend this great facility for any of their events. What a great bunch of folks that really know how to put an exciting weekend together. ·· Customer teams debuted the Mustang FR500C in GT4 European Cup competition and the Mustang FR500GT in FIA GT3 competition this past weekend at Silverstone in Great Britain. 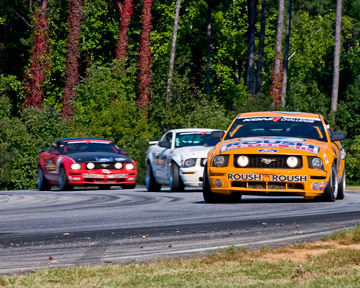 ·· The Mustang FR500C won the first-ever GT4 European Cup race with driver Gunnar Jeannette. DEARBORN, Mich., May 10 – After successfully completing the homologation process for GT4 European Cup and FIA GT3 competition, the Mustang FR500C and Mustang FR500GT made their competition debuts this past weekend at Silverstone in Great Britain with the FR500C racing to victory. The Multimatic-entered Mustang FR500C won the inaugural GT4 European Cup race on Sunday in the hands of driver Gunnar Jeannette, while a TopSpeed-entered FR500GT driven by Kenneth Heyer and Eric De Doncker finished 29th in GT3. This victory marks the second time the FR500C has won its initial appearance in a professional racing series. 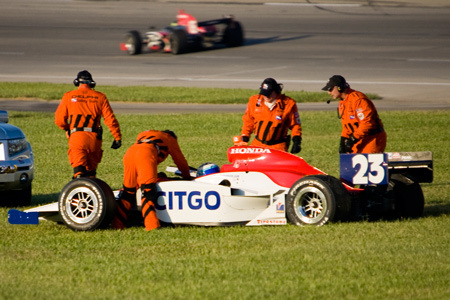 The first came in the 2005 KONI Challenge Series (then known as Grand-Am Cup) season opener at Daytona International Speedway en route to capturing the series’ driver, team and manufacturer championships. This season, it has won all three KONI Challenge races and currently leads the driver, team and manufacturer standings. 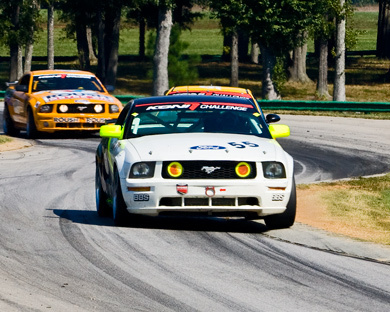 The Mustang racing programs in Europe are strictly a customer-based venture, initiated by U.S.-based Ford Racing as an extension of its performance parts program. With the Ford Mustang only available for sale in North America, Ford’s European racing operations are aware of the program, however there is no involvement on its part. For this effort, Ford Racing has once again partnered with Multimatic Motorsports, which assisted in the homologation process for both vehicles. Multimatic is the exclusive sales representative and distributor of homologated FR500GT and FR500C Mustangs for FIA GT3 and GT4 European Cup competition and is responsible for supplying spare parts and actively interfacing with teams and sanctioning bodies. We at SIT would like to welcome Alfredo Saletti to our fine group of Sporting Correspondants and Photographers. Alfredo is from Brasil and will be reporting on the great events that happen in that hotbed of racing. We look forward to seeing many great racing articles and images from Alfredo in the South American arena of competitive motorsports and equine events. Also, be sure to check out his website to understand the incredible quality of imagery Alfredo will be supplying. The drivers showed their talent on Sunday afternoon at Prólogo racecourse, Cowboy Park in Baretos City – SP – Brazil. There was a great show of high speed jumping during the Rinaldi Rally Super Prime. The motorcycles have started the show and the best times per class were, June Rochenbacha by Brazil; Munir Khalil by Cross; Roidman Munhoz by Marathon; Marco Antonio Pereira by Production; Roberto Naji Nahas by Quadriciclo and José Hélio Rodrigues Filho by Super Production. The general best time for the motorcycles was José Hélio Rodrigues Filho. José’s time was only one tenth of second better than the time of Juca Bala, and this heated competiton has caused great excitement for the public. Ingo Hoffmann and Lourival Roldan won the premium and the score, since they were the first in the car class and Amable Barrasa together Du Saches and Raphael Bettoni, had the best time in the truck class.